If you are interested in the history of one of the most ancient cities in the world, you are welcome to the Museum of History of Yerevan. 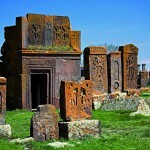 Here you will learn a lot, in particular, that Yerevan was founded in 782 BC and was called Erebuni. 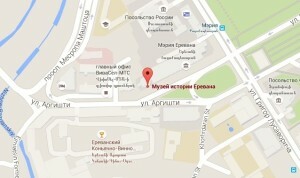 The museum is easy to find: it is located directly in the City Hall of Yerevan. City Hall is located near the Republic Square, you just need to go straight down by Vazgen Sargsyan Street (it starts with the Marriott Hotel). 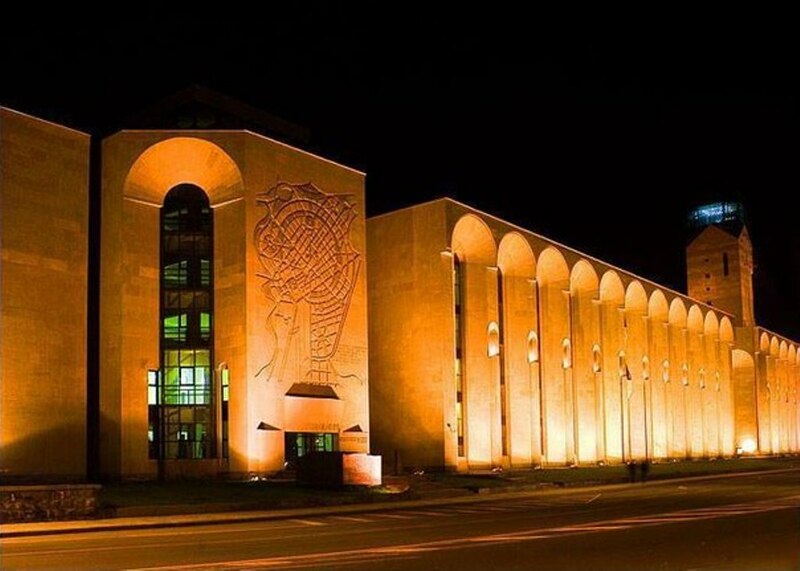 Before you go inside, look at the building: according to its architect Jim Torosian, it is a “dedication to Yerevan.” There are 12 pillars along the walls marking the 12 capitals of Armenia on each pillar there are the names and a brief description of each capital. Yerevan is the last one of them, the 12th capital of Armenia. 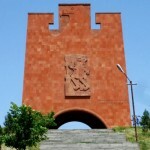 Above the entrance of the museum on the wall the general plan of Yerevan is carved. 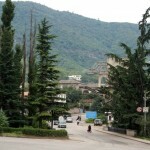 The author of the plan is Alexander Tamanyan. You can get into the museum both from a separate entrance and through the mayor’s office. The Museum of the History of the Capital of Armenia holds about 90,000 items, of which only 3,000 can be seen at the exhibition halls. Each of the three floors of the Museum is dedicated to a concrete historical period – from ancient times to the present period. 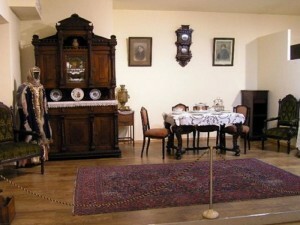 You will certainly be interested in recreated atmosphere of the 19th to early 20th century. Here you can see the interiors of houses typical to Yerevan dwellers, streets and shops, household items, clothing, furniture and even dishes. In the museum you can see the rare black-and-white footages taken in early 20th century. Here you can clearly see what has Yerevan been before and what it turned to thanks to Alexander Tamanyan. The museum is open everyday except Sundays. Tickets cost 500 AMD (about $ 1).